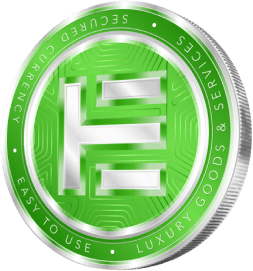 The EUM luxury coin will be at the center of a unique ecosystem connecting luxury goods and service providers with a global client-base: the Elitium Network. This platform will be operated from a standalone app, the Elitium Lifestyle App which – ensuring a seamless, secure, and low-cost payment process complemented by bespoke member benefits. The Elitium coin – EUM – is leveraged to enable fast, secure, and efficient transactions within the ecosystem. The EUM coin is firstly developed on the ERC20 standard and will later be based on the EOS.IO platform. This will be done once the Elitium Lifestyle App is launched: the ERC20 coins will be burned and swapped on a 1:1 ratio to obtain the EUM coin based on the EOS.IO platform. EUM is already listed on the exchanges listed below, our aim is to expand with 1-2 exchanges per month. Every holder of EUM can use the following wallets, our aim is to to be listed on 2-3 new wallets every month. Below you can find the payment gateways and platforms where EUM can be used on. Our aim is to keep expanding our global partner network on a weekly basis. The luxury coin EUM is currently being used as a tradable coin & payment instrument on specific platforms. Once the mobile lifestyle app is ready, EUM will become a real currency that can be used as payment method for luxury goods & services. While using it you’ll be insured by our insurance coin EUMI and you will get rewarded with reward coins in the form of EUMX. EUMX can be spend on the platform on luxury goods such as watches, jewelry and perfume.